Namibia and Botswana are two countries from austral Africa located to the north of South Africa. 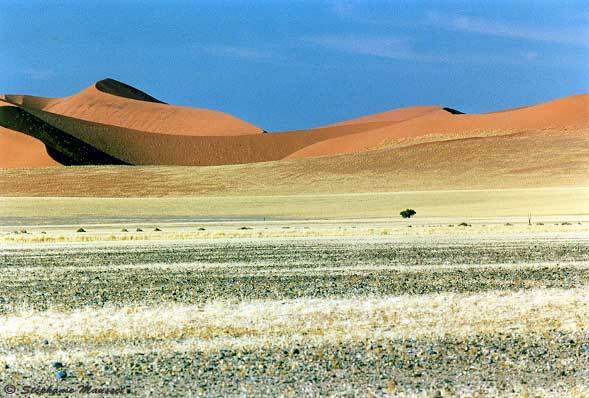 Namib desert: photos of sand dunes including Elim dune, dune 45 and Sossuvlei, as well as the famous and amazing dead vlei. Kalahari desert, photos of baobab and bushmen village then further north the Okavango delta. The Damaraland area with its cactuses, its kokerbooms, its Welwitschia Mirabilis. Etosha game park and the atlantique coast with Cape cross reserve, Swakopmund sand dunes. dry area with a few cactuses and Welwitschia Mirabilis.